Disclosure: This post is sponsored by GrandeLIPS. However, all opinions are my own. It is no secret that I adore lip plumpers. When I first started Girl Gloss, the blog was almost exclusively devoted to lip products, with plumpers getting a lot of coverage. 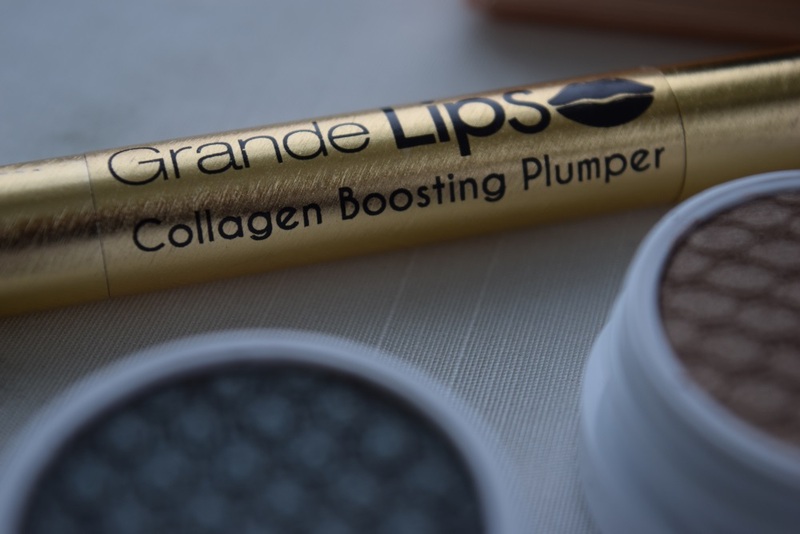 So, I was more than happy to try GrandeLIPS Collagen Boosting Lip Plumper, which is a lip plumper that not only offers immediate plumping action, it also conditions the lips to provide long term benefits. 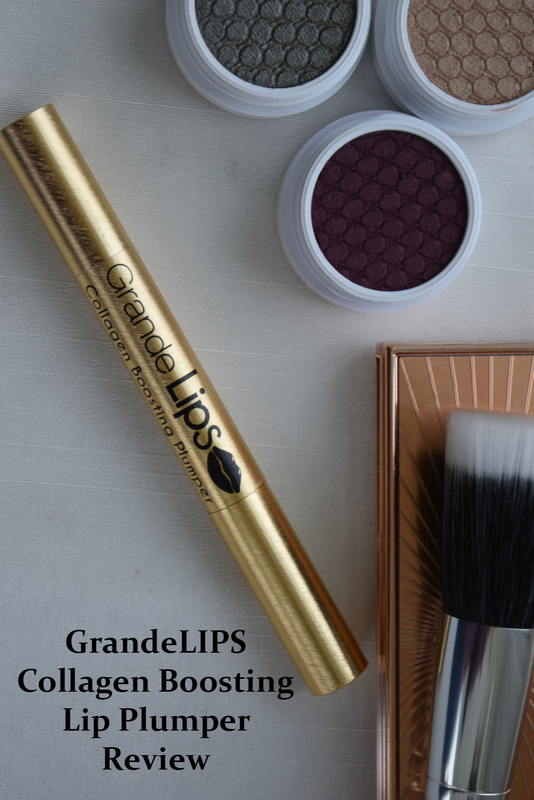 GrandeLIPS is infused with lip plumping ingredients designed to smooth lips, plump them, and provide lasting hydration. While it could obviously be used as part of the day-time makeup routine, it is also designed to provide long lasting treatment effects. Thus, the company recommends applying it twice daily: Once at night before bedtime, and again during the day, either alone or in combination with your other lip products. It is designed to give a plumping effect that is long lasting, so there is no need to reapply over and over to keep the plumping effect. 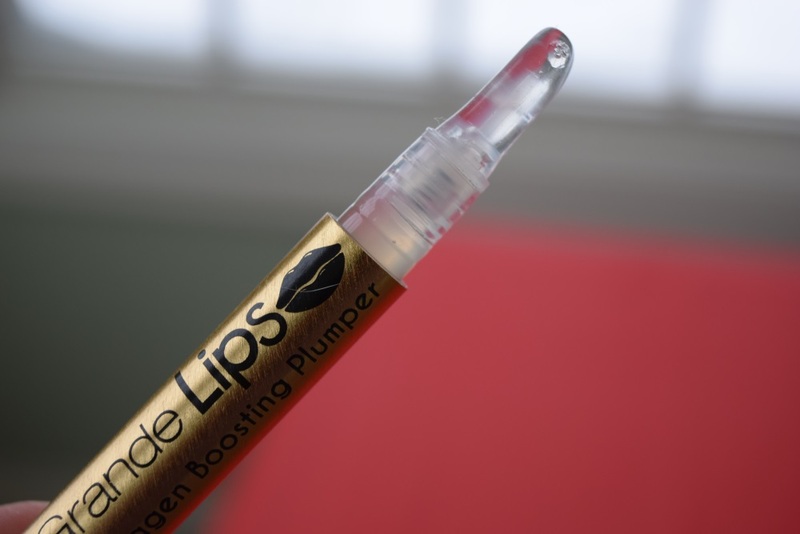 I like to be able to feel my lip plumper working, and GrandeLIPS has a good amount of “tingle” when you apply it. But no worries, it isn’t overwhelming. I thought it had just about the perfect amount of that. As a gloss, it is also awesome! It feels very moisturizing and has a very pretty glossy finish. No stickiness at all! That is important to me. It also does as advertised in terms of giving a longer lasting plumping effect. I never felt the need to reapply it over and over to get the effect that I wanted. I tired the clear gloss, which is also nice to use over something like a lip stain. If you want color. In March, GrandeLIPS will also offer their plumper in 5 different shades. I have been using GrandeLIPS for over a month now and I think the conditioning effects are also quite good. My lips are in really nice shape right now and, given that it is winter and the air is quite dry in my home, I really appreciate how they have managed to not get chapped and have stayed in nice condition by using GrandeLIPS regularly. 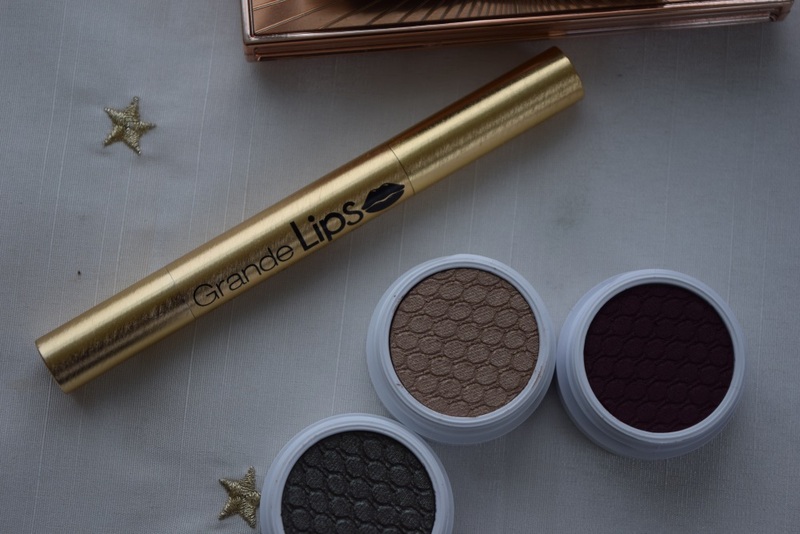 Give GrandLIPS a try for yourself! 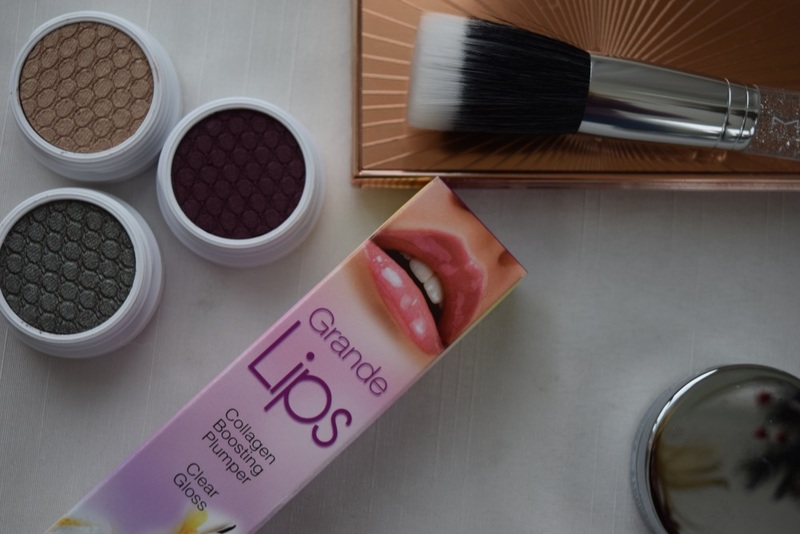 Purchase GrandeLIPS or Visit the Grande Naturals Homepage to learn more about this and other interesting products from the company. Check out this great promotion too!